The first report of ASF in wild boar in Hungary has been made to the World Organisation for Animal Health (OIE). Hungary has been monitoring dead wild boar for ASF in Eastern counties near borders with the Ukraine and Poland since 2016 with border checks for pork/pork products and increased passive surveillance in the rest of country from 2017. 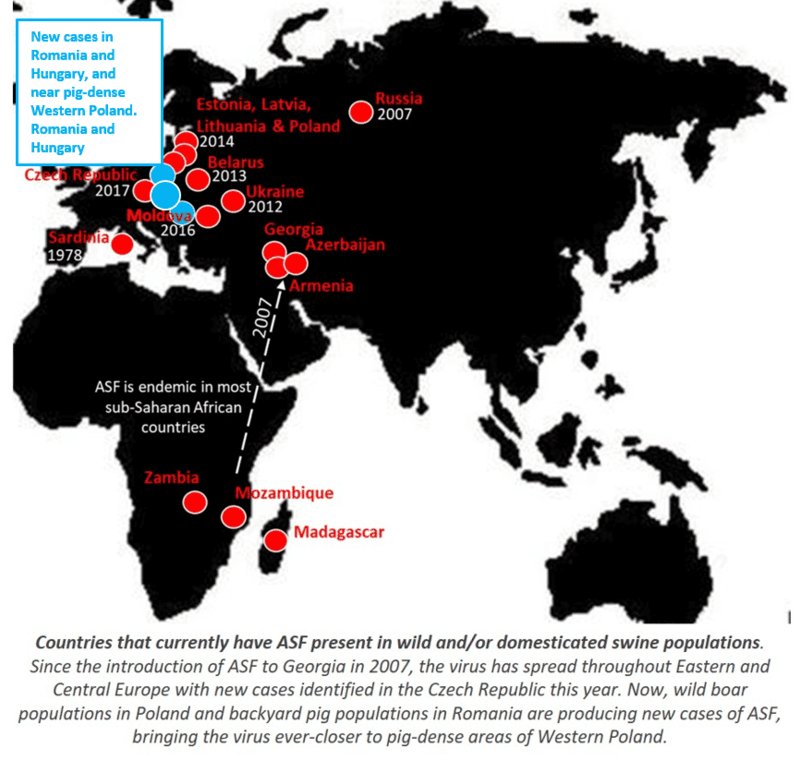 This detection of ASF was, however, outside this surveillance zone which is concerning as it means that either infection in wild boar nearer the border has been missed, or that the case results from other means of transmission such as illegal movement of infected pigs or feeding of infected pork/pork products as was suspected to be the case for the geographical jump to the Czech Republic in 2017. Pork imports from Hungary represent only about 0.64% of all pork imports to UK in 2017, and the area will become a restricted zone. However, it is of note that 4.5% of lorries from mainland Europe through British ports are Hungarian-registered. This continued westward spread of ASF emphasises the need to raise awareness amongst all pig keepers across Europe of the need for them to take stringent external biosecurity precautions to reduce the risk of introduction. 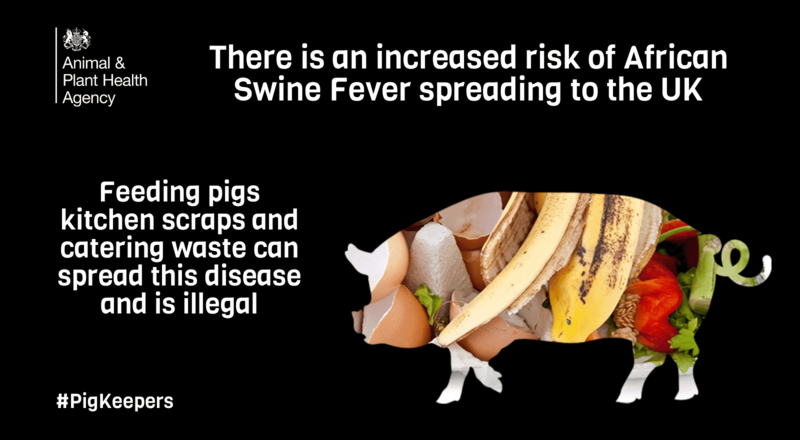 These messages, and the importance of not feeding kitchen and catering waste have been highlighted in recent public communications and passing these on to UK pig farmers and keepers is vital. Providing dedicated clothing and boots for workers and visitors, limiting visitors to a minimum, and preventing outside vehicles which may be contaminated from coming on to the farm, are all valuable procedures to reinforce.